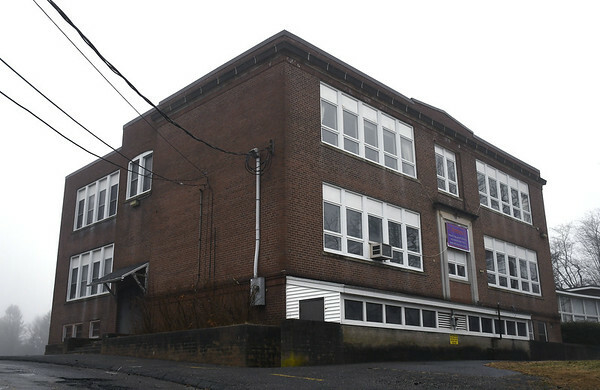 PLYMOUTH - The Town Council agreed Wednesday to sell Main Street School to EdAdvance for $400,000 and to adopt a resolution opposing tolls. In addition to approving the sale of the school, the council also approved a $50,000 economic development grant to EdAdvance contingent on the sale of the school. During public comment, Melanie Church argued that economic development grants should be reserved for the industrial park. Vinnie Klimas, chair of the town’s Housing Authority, argued that the town should be aggressive in using economic development grants to attract every business that it can. EdAdvance is one of six regional education service centers around the state and has been around for 50 years. It covers 32 communities and 29 school districts. Each of those districts can send a representative to serve on EdAdvance’s board. They serve around 36,000 students. EdAdvance plans to use the 33,000-square-foot school at 77 Main St. - which has sat abandoned since 2008 - to create a regional center for special education students that will serve 20 to 25 students in preschool through fifth grade. This may later be expanded to 35 to 40 students as the space is renovated. The center will focus on behavioral, social and emotional needs of young students. It will provide additional support services for elementary-age students with autism and it will establish office and meeting spaces for professional employees and related service supports throughout the region. EdAdvance plans to preserve historic exterior portions of the school where possible during the renovation. The lot would be separated so the ballfield and playground area would remain town property. The parking lot is included in the purchase. EdAdvance will have use of the fields during the school day and the town can use them during off-hours, evenings and weekends. On the topic of tolls, Councilor Dan Gentile was strongly against tolls. Mayor David Merchant noted that many towns were taking up resolutions. “I don’t think it will change the world; it will just be us voicing our opposition,” he said. The council voted unanimously to adopt the resolution to oppose tolls in the state. Posted in The Bristol Press, Plymouth, Terryville on Wednesday, 3 April 2019 20:44. Updated: Wednesday, 3 April 2019 20:47.